You can’t stop the future. You can’t rewind the past. The only way to learn Hannah’s secret is to press play.Clay Jenkins returns home from school to find a mysterious box with his name on it lying on his porch. Inside he discovers several cassette tapes recorded by Hannah Baker—his classmate and crush—who committed suicide two weeks earlier.On tape, Hannah explains that there are thirteen reasons why she decided to end her life. Clay is one of them. If he listens, he’ll find out how he made the list.This is a desperate, heartbreaking, yet ultimately hopeful novel. 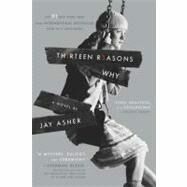 Jay Asher is a West Coast native who lives in Nipomo, California. He currently works for the Central California Library System.